When you think about your business idea or brand, you probably brainstorm and mind-map with pen and paper. 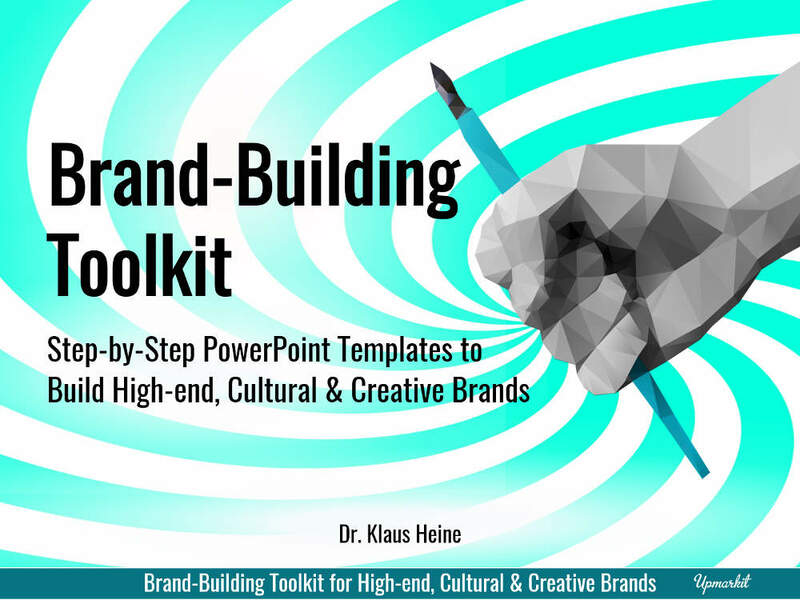 This toolkit contains brand-building templates that can inspire your brandstorming sessions - and provide a good basis to write up and collect your ideas right into a PowerPoint presentation. 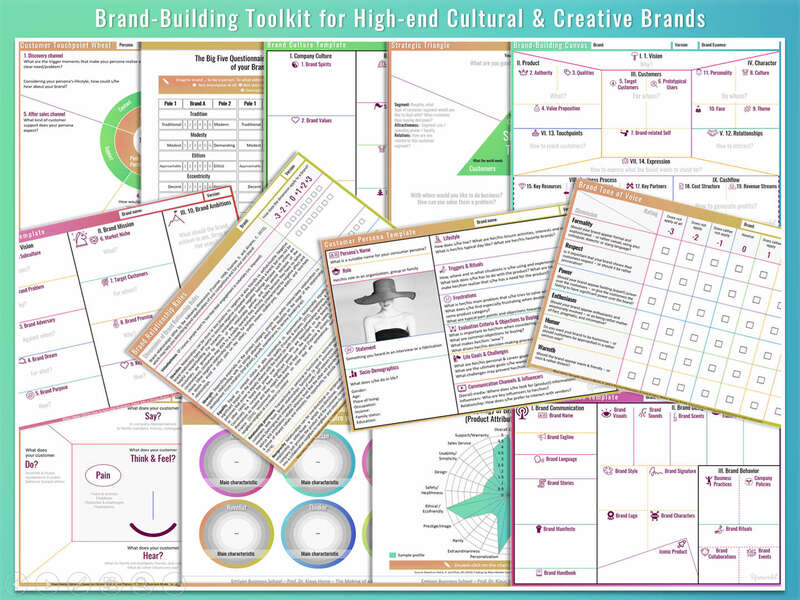 So you can turn this toolkit into your Brand Handbook. To help you to strengthen your brand identity or create a powerful brand from scratch, this hands-on workbook guides you step-by-step through all the stages of brand identity planning. This toolkit contains all templates discussed in the workbook. The Brand-Building Toolkit for Luxury / High-end Cultural & Creative Brands consists of a modular system of brand-building templates including the Strategic Triangle Template, the Brand-Building Canvas, the Brand-Self-Seven, the Brand Vision Template, the Brand / Product Profiler, the Customer Persona Template, the Empathy Map, the Brand Culture Template, the Brand Lifestyle Octagon, the Brand Personality Template, the Big Five Luxury Brand Personality Questionnaire & Spider chart, the Brand Relationship Roles Template, the Brand Tone of Voice Template, the Customer & Brand Touchpoint Wheel, the Customer Journey Map, the Brand Touchpoint Map Template, and the Brand Expression Template.